The Council for Quality Growth is a trade association with a membership that shares an interest in providing balanced and responsible growth in the metro Atlanta region. The Four Pillar Award is an annual event to honor one individual who has made a positive impact towards balanced and responsible growth in metro Atlanta. 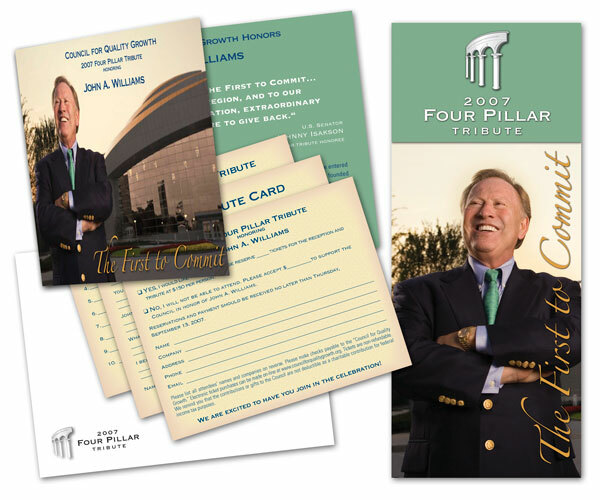 John Williams was one of the recipients featured in the promotional materials designed by Snowball. These materials included invitations, reply cards, program collaterals and event signage. The event was well sponsored and well attended.